The Foundation of Luxembourg is an independent center of expertise and advisory in the field of philanthropy. The Foundation assists European donors in the structuring, development and monitoring of philanthropic projects in Europe and worldwide. Created by the State of Luxembourg and the Oeuvre Nationale de Secours Grande-Duchesse Charlotte the Foundation de Luxembourg’s mission is to promote and facilitate private philanthropic engagement. 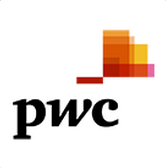 PwC Luxembourg is the largest professional services firm in Luxembourg with 2,450 people employed from 55 different countries. It provides audit, tax and advisory services including management consulting, transaction, financing and regulatory advice.